Experience the convenience of flexible hours, personalized care, and a wide range of services at our Newport News Dental office. Our practice is designed around you. Your oral health care plan is designed around your unique needs and goals. A Virginia native, Dr. Heather Pham grew up in the Shenandoah Valley. 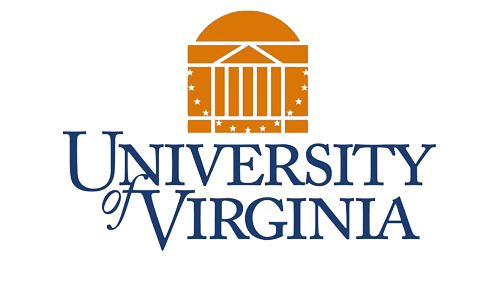 She graduated from the University of Virginia in 2000, with a major in Biology and a minor in Art History. Dr. Pham then earned her Doctor of Dental Surgery at Columbia University School of Dental and Oral Surgery in 2004. 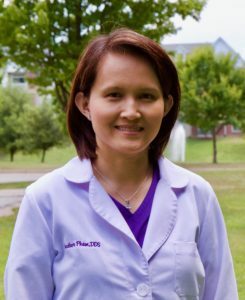 A recipient of the Health Professions Scholarship from the US Army, Dr. Pham went on to serve as a dental officer in the Army at Fort Eustis Virginia until 2007. During her years in the military, she earned a Medal of Excellence for providing comprehensive dental care to soldiers and officers. She completed her military career with the rank of Major. Dr. Pham is a firm believer in community philanthropy. She was a dental provider from 2004-2007 at Operation Blessing International Relief and Development Organization’s Mobile Dental Van to provide dental care to underserved citizens in the Hampton Roads area. She is also involved in Give Kids a Smile and Mission of Mercy projects. Following her active duty, Dr. Pham went on to practice family dentistry from 2007-2009 in the Richmond area. She then moved back to Hampton Roads with her husband and has had the pleasure of working on the Peninsula since 2009. Dr. Pham has devoted her professional career to all aspects of dentistry including tooth colored fillings, crowns, bridges, implant restorations, root canal therapy, extractions, dentures, teeth whitening, and pediatric care. In addition, Dr. Pham is an Invisalign Certified dentist. Dr. Pham is committed to offering the highest quality of dental treatment with an emphasis on compassion and personal care. Dr. Pham strives to provide the most gentle and pleasant dental experience in a caring atmosphere for all patients. 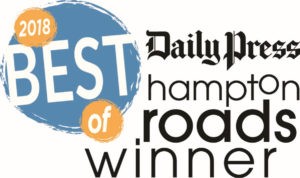 Dr. Pham maintains professional membership with the American Dental Association, The Academy of General Dentistry, The Virginia Dental Association, and the Peninsula Dental Society. To keep abreast of the latest developments and technology in dentistry, Dr. Pham regularly attends continuing education courses. Dr. Pham is married to her college sweetheart, a practicing physician in the community, and together they have two beautiful daughters. They live on the Peninsula and enjoy all that this wonderful area offers. Outside of dentistry Dr. Pham enjoys spending time with family and friends, traveling, reading, and playing tennis. Dr. Pham also has a passion for drawing, painting and sculpting art. Dr. Pham looks forward to serving all of your dental needs and to providing you and your family the best dental experience.